On arrival members and visitors sign in at the Reception Desk. Belongings you do not immediately require can be left in lockers or on coat hangers. Photocopies can be collected or requested at the Reception Desk. The Society’s publications can also be ordered or purchased here. There are tea- and coffee-making facilities in the Refreshment Area where you are welcome to eat food you may have brought with you. Our computers give access to the extensive and ever-growing database of Northumberland and Durham Parish Records, Baptisms, Marriages, Burials, and Monumental Inscriptions.There are also local census records. FindmyPast and Ancestry are also available. Many other sources of information are available on-line here as well. 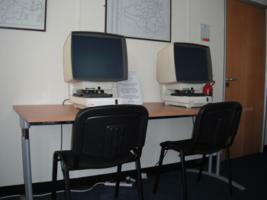 Our large collection of microfiche is also a source of similar material. In addition we hold the 1881 Census for the United Kingdom, the Old Parish Records for Scotland, GRO Births, Marriages, and Deaths, Wills, the International Genealogical Index, various parish records from elsewhere in the country and more besides. 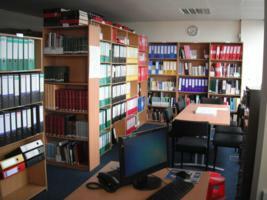 In addition to printed copies of much of the parish records held on computer, the Library houses a significant collection of books on the region and local history including for example trade directories and maritime records. There are local Roman Catholic and Non-Conformist records as well as some parish records of neighbouring counties. Will Indexes and information on War Memorials as well as back-copies of the Society’s Journal may be consulted. We also have a collection of original Birth, Marriage, and Death Certificates kindly donated by researchers. Percy House is located on the west side of Percy Street between Gallowgate and Leazes Park Road and is to the right of Barclays Bank and opposite Eldon Square Shopping centre. It is only a few minutes walk away from a Metro Station (St James, Monument*, or Haymarket) or a Bus Station (Eldon Square, or Haymarket). (*Monument Metro Station is one stop from Newcastle Central Station). There are several car parks in the immediate area. The Research Centre is located on the 7th Floor and can easily be reached by lift. If you wish to use a computer or fiche reader it is advisable to telephone and book in advance to avoid disappointment. 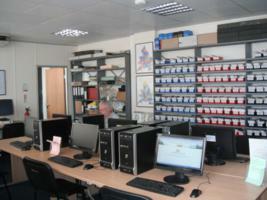 The Research Centre is open Monday to Friday from 10 am to 4 pm. We are closed over Bank Holiday weekends, and also over the break between Christmas and the New Year. 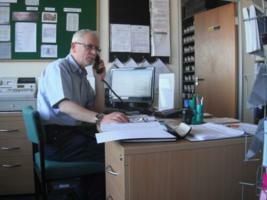 The Centre is run by volunteers who are happy to welcome you and show you round the premises. They will also assist you to make use of our resources but please don’t expect our volunteers to do your research for you. 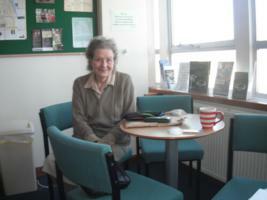 There are facilities for making tea or coffee and you are welcome to bring something to eat in the Refreshment area. Monday – Friday 10.00 a.m. to 4.00 p.m.